I have sold a property at 808 63 KEEFER PL in Vancouver. Please visit our Open House at 808 63 KEEFER PL in Vancouver. Welcome to charming Unit 808 in the Europa! This sunny and bright, south-facing 2 bed/2 full bathroom + den/solarium condo features views to False Creek and the mountains from the living room and balcony. The large living space can easily accommodate house size furniture, and the den/solarium makes for a great home office or peaceful oasis. Park- like setting, perfectly located between Gastown, Yaletown, Chinatown, and Stadium Station. With Starbucks, Rexall Drug Store, T&T Supermarket, and Costco, everything you need is less than 2 blocks away. The full time concierge keeps the building in tip-top shape. Out of province owners use this condo as their city pied-a-terre, so it has been lightly used and kept in beautiful condition. Open House Saturday and Sunday, April 30 & May 1, 2-4pm. I have sold a property at 1810 788 HAMILTON ST in Vancouver. 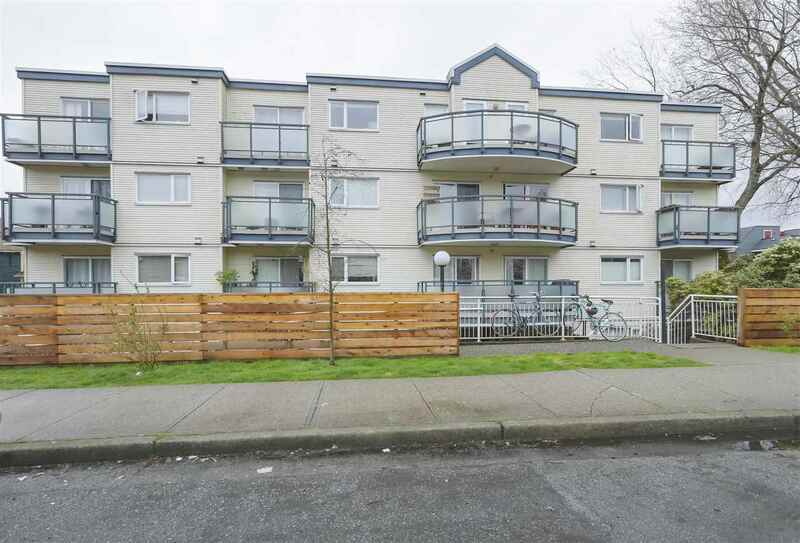 I have sold a property at 203 950 DRAKE ST in Vancouver. The perfect downtown condo! This well-located concrete building in city centre is a great spot for a first time home buyer and/or as an investment. Excellent layout and efficient use of space. Watch stunning sunsets from the rooftop deck. The beach, shopping, and entertainment district are all within easy walking distance. This is the place to be! I have listed a new property at 203 950 DRAKE ST in Vancouver. Sneak peek on Wednesday, April 6, 5:30-7pm. Open House Saturday April 9, 12-1:30pm and Sunday, April 10, 2-4pm. Please visit our Open House at 203 950 DRAKE ST in Vancouver. I have listed a new property at 207 345 WATER ST in Vancouver. Truly the finest loft living at The Greensheilds, with million dollar views of the mountains, ocean and beyond. Completely converted right down to the studs in 2004, keeping the beauty of this heritage site is this stunning 22 unit boutique building in the most desirable location of Gastown. Welcome to a Alda Pereira design with over 990sqf of sweeping 11ft ceilings throughout this open and airy 1 bedroom loft, divided by Rumplus glass partition walls to a chef's kitchen with mobile island and an entertainers dream livingspace. Appreciate the details of the reclaimed maple floors, stone countertops, display art walls and exposed concrete. Insuite laundry/storage, walking distance to all transit and restaurants, plus a BONUS pre-paid parking in the BUILDING! Not your average downtown condo, this is the real thing!